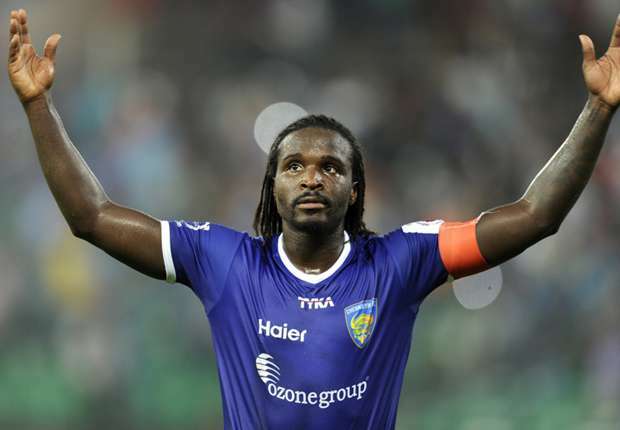 Chennaiyin FC has announced the re-signing of French defender, Bernard Mendy for the upcoming ISL season. Mendy had been the part of Chennaiyin's squad for past two season and played a major role in his team's title win last year. “I am delighted to be back at Chennaiyin and would like to thank the owners and Marco for giving me another opportunity to reunite with my second family. I have had two memorable years at Chennaiyin with the highlight being celebrating with our Super Machans after returning with the trophy in Chennai. We want to win the title again for the people of Chennai and are going to work very hard towards achieving that goal,” said a delighted Mendy. The former PSG, Bolton Wanderers and Hull City defender has made 28 appearances in the Hero ISL for Chennaiyin FC, making him his team’s most capped player. Mendy’s three goals also make him the joint-highest scoring defender in the Hero ISL along with FC Goa’s Gregory Arnolin. His memorable bicycle-kick against Kerala Blasters FC in Season 1 remains one of the best goals ever to be scored in the Hero ISL. Head coach Marco Materazzi enthused at the prospect of having Mendy for a third consecutive season. "We are very happy to have Bernard at the club for the third consecutive season. His class and experience were instrumental in our consistency in the first two campaigns. We look forward to another strong season from him." said Materazzi. Mendy extended his Indian stay after ISL 2 when he signed for I-League side, East Bengal FC for 2015/16 Season and scoring 2 goals in 10 appearances.